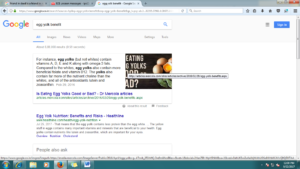 For every information whether small or big, one liner or paragraph, Google is a one stop solution. Google is like a friend in need is a friend indeed. To build traffic on website is getting tougher now days; to increase the traffic content should be optimized as blue links and its organic search results are no longer powerful in generating the same. This blog makes you understand to optimize your content to one of Google’s more recent changes: Featured snippets. A featured snippet is nothing but basically a summary in the form of link, titles, URL, webpage extraction of the query asked. In short, featured snippets are rich in data also referred as detailed fragments. Featured snippets have 3 types: They are exist paragraphs, lists & tables. Featured snippet paragraphs: Besides definition, terms can also appear in paragraph. Featured snippet list: There are certain terms that can be numbered on a list. Featured snippet tables: In most cases, like majority of cases, featured snippet usd to represent its data in series. 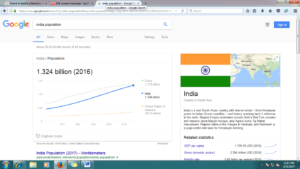 Google featured snippets are important as it led to an increase in click-troughs. Optimize your page; it will give you a better chance of getting a featured snippet. According to studies, Featured snippets are triggered by long tail keywords. 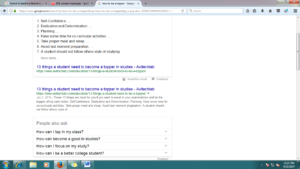 Search more options for topics in Google. Once you started the questions journey you will see more and more questions added at the bottom. Ask people about their search & what they search frequently. 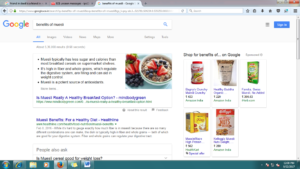 For featured snippets optimization start with SEO. Use of eye catchy images & well designed words helps a lot in adjoining traffic. If you are not ranked in top 10 then planning and research helps in building the market and once being featured in Google search then it will build traffic. Besides this, you will learn more words, explore ideas and structure the article.